Twin Size Loft Bunk Bed. Includes all pieces shown except for the mattress. Easy to assemble. Strong Construction. Available in White or Espresso Finish. 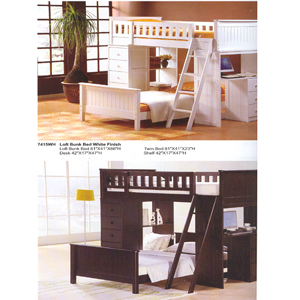 Loft Bed Size: 81 In. (L) x 41 In. (W) x 66 In. (H).